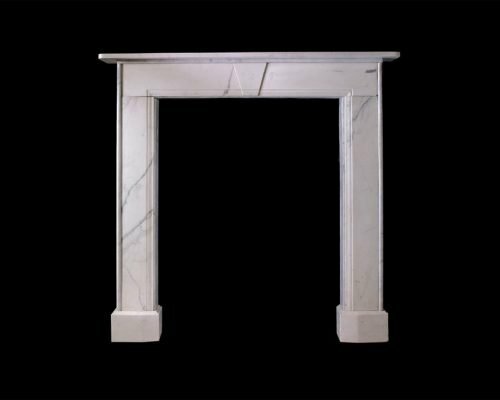 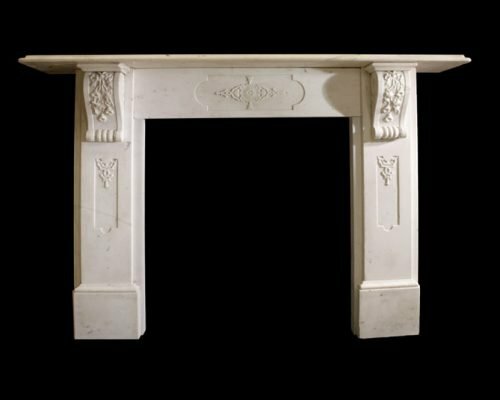 A stone chimneypiece of Italianate design and impressive proportions with elegant console jambs and a generous mantel shelf. 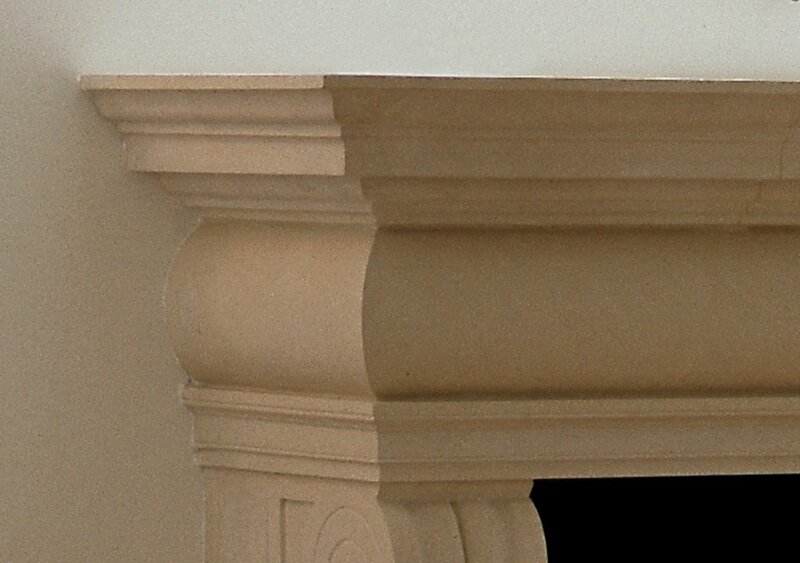 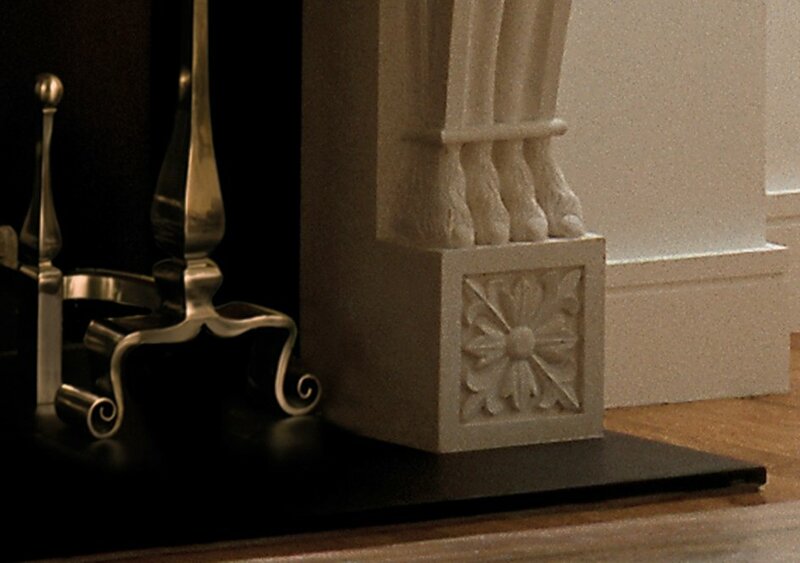 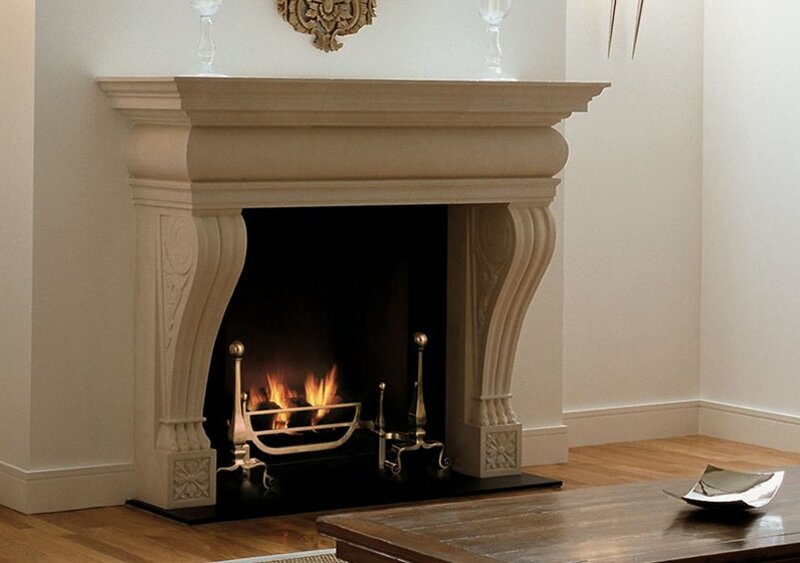 A simple 19th century chimneypiece in Statuary white marble with keystone in the centre of the frieze. 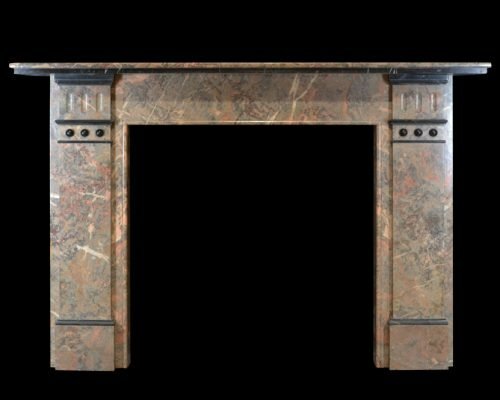 An Edwardian c.1905 St Annes Rouge marble with fluted corner blocks and roundels.